Set the oven on 220 degrees ºC. Fry one side of the omelette until it begins to solidify. Add the omelette into an ovenproof dish. Place the dish in the oven and wait until the omelette solidifies. 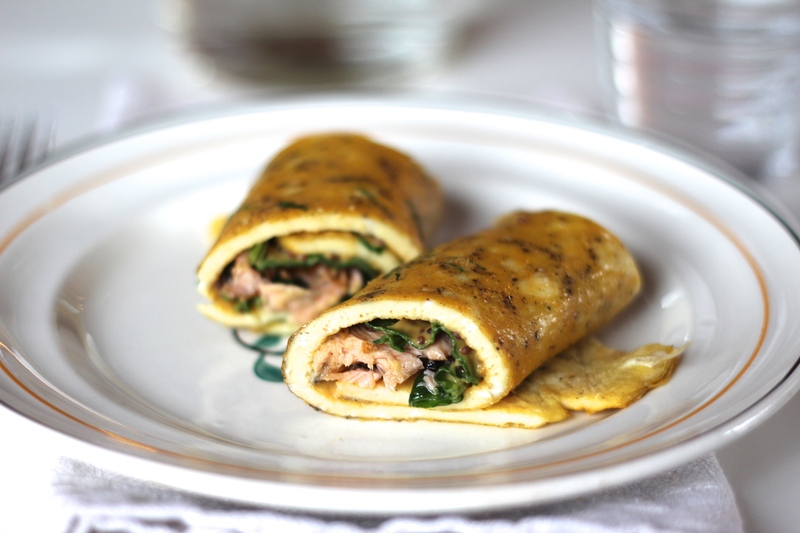 Add spinach leaves, smoked salmon slices and a good layer of mustard on the omelette. I served it with avocado, paprika and garlic and sesame broccoli and it tasted great! Hope you enjoyed!